To add a client in Projectopia, first go to the Clients area by clicking “Clients” in the Projectopia admin menu. You’ll now be presented with a series of fields to complete. These fields are all required as they are used in various parts of the plugin. Fill in all fields as illustrated below and click Add Client. A Client will be created in Projectopia. A new WP User account will be created in WordPress and given the Projectopia Client role. 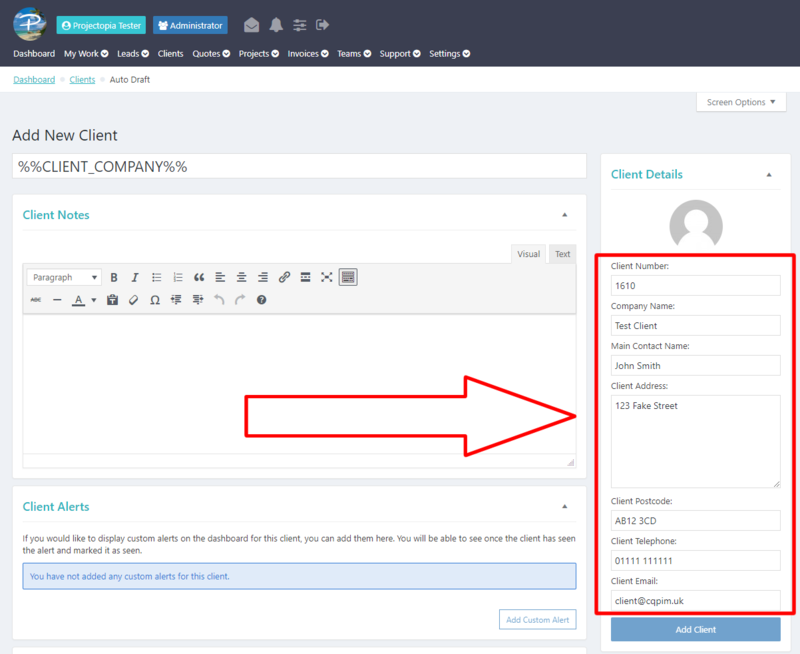 The user created in step 2 will be linked with the client created in step 1. 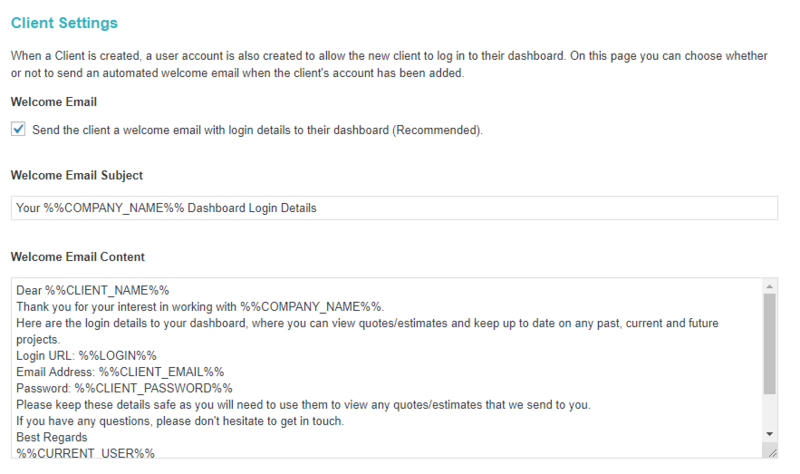 A welcome email is sent to the new client with their login details (If you have this configured in the settings. See below for more information. If you have configured the plugin to send a welcome email then one will be sent when the client is created. The settings for this are on the “Clients” tab in the plugin settings. That’s it, you just created your first client!